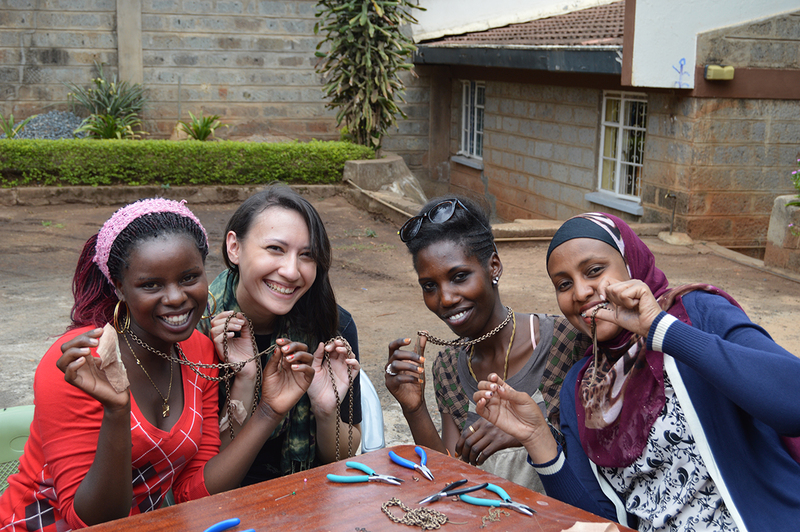 Local fashion designer Lagi Nadeau has partnered with Heshima Kenya—an organization devoted to bettering the lives of young refugee women of Africa—to create a collaborative jewelry line together. Nadeau traveled to Kenya to mentor and work with forty teenage girls and bring her design concepts to life using the long flowing colorful handmade and dyed scarves from the girls of the Maisha Collective. Over the span of one week, Nadeau and the girls created seven designs that launch today on Etsy and will be sold with a majority of the proceeds going back to funding the various programs Heshima offers. Last year they sold more than $100,000 in scarves to help fund the programs, which include education, housing, legal and medical counsel and case management for the young women the organization serves. The jewelry collaboration will be a new extension of their efforts. Roadcup believes it’s a beautiful culmination of making a global issue very local. Nadeau was approached about the collaboration after participating in a “Project Runway”-type competition at their annual gala fundraiser. 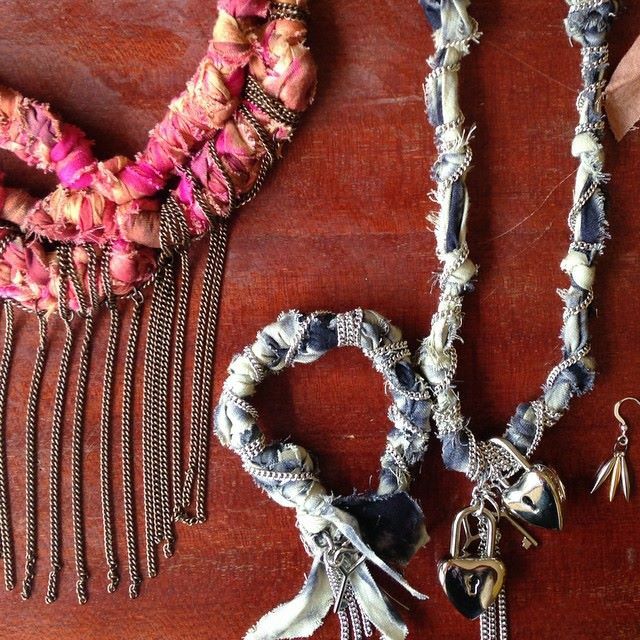 Five designers were to create accessories from the scarves, and Nadeau’s knotted designs combining metals caught their eye. Nadeau said mentorship was very important during her experience with the Chicago Fashion Incubator at Macy’s. She said she would not be the designer she is today without having a positive support system. During her trip, she was sent to help mentor the girls, but also found them leading her in ways. Visit Heshima Kenya’s Etsy store featuring Maisha Collective scarves here.